I visit EHA Skincare regularly for their HydraFacial Nectre and especially after a laser treatment for my pigmentation. I love how the HydraFacial hydrates my face, giving me an instant healthy and refreshing look. 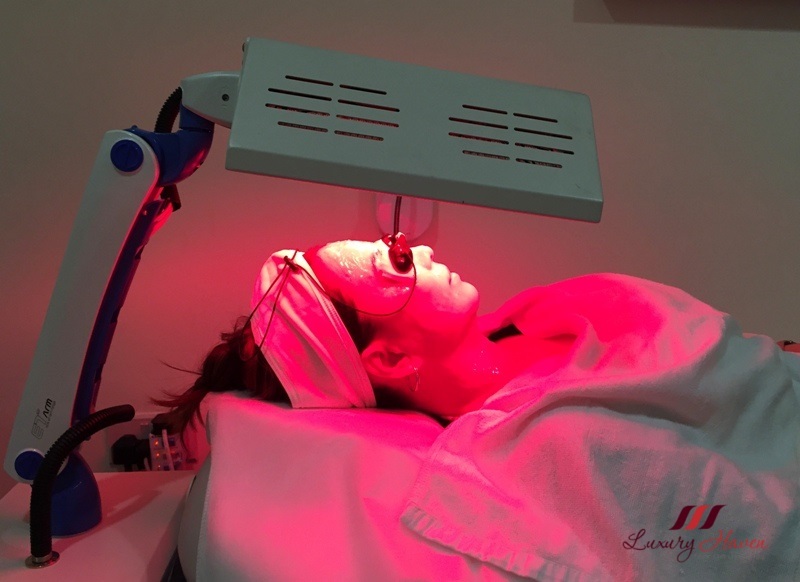 Coupled with EHA Skincare's Omega Light LED Therapy which works like a laser, targeting cells beneath the skin’s surface and stimulating them so that they produce new collagen and fight off breakout causing bacteria, it is a perfect therapy for skin rejuvenation. How well do you know your skin? Yap, that's me in the image! Don't be alarmed; you don't see them doesn't mean that you don't have them. Those ugly spots are hidden underneath the skin waiting to surface. Bonus: All first-timers to EHA Skincare will get a Complimentary VISIA Complexion Analysis to measure your wrinkles, texture, pores, UV spots, brown spots, red areas, and porphyrins! 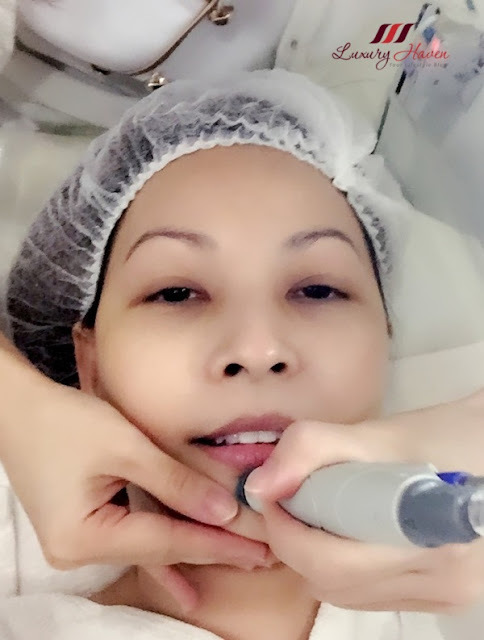 The usual price for EHA HydraFacial Nectre 1st Trial is at SGD 250, but they are offering followers of Luxury Haven at the Special Promo Price of just SGD 188! So if you are looking for a super hydrating facial, HydraFacial Nectre is your best bet! Call Tel: +65 6235 3325 to book your slot now! * This is a sponsored post by EHA Skincare. The author only recommends products or services she uses personally which she believes to be beneficial for her readers. Views and opinions expressed in this blog are purely by the author. Great post, Shirley! I really like the photos and video, too. Great way to keep track of the latest in facial and skin care by reading your articles here. Thanks! 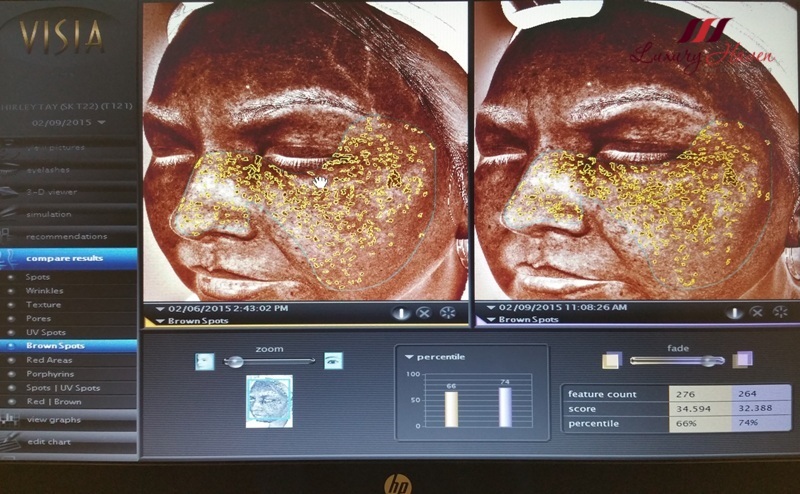 I'd be intimidated by the skin analysis but at the same time it would be really good to know so you can do something about those pesky spots that are waiting to happen. You'd never guess that you had any skin damage from the look of your gorgeous complexion. I guess time does take it's toll on all of us. Absolutely. I see the results. this sounds like a great treatment dear. Thanks for sharing. I love that image graphics you shared! These are real facts that we often do not know about our skin. I remembered seeing the very tiny live worms oozing out of my face in Seoul's cosmetic shop where they used microscopic lenses to scan my face. OMG, you're kidding right? That must be real scary! I've never seen anything like this yet. Really interesting, great post Shirley!